22 January 2019, 09.00 – 10.00 hrs. On behalf of the Ministry of Foreign Affairs of the Kingdom of Thailand, I wish to express my deep appreciation to the ASEAN Foundation, the Maybank Foundation, and the ASEAN Studies Centre at Chulalongkorn University for all the excellent arrangements and for your very constructive initiative to organise this event. Allow me to join previous speakers in welcoming all the youth representatives from Member States of ASEAN to Thailand, the birthplace of ASEAN. The future of ASEAN is truly in your capable hands, and we place great hopes on you to be agents of change, innovation and creativity to deal with the complex social and economic challenges confronting our region and beyond. Today, the main focus of my remarks will be on what Thailand aims to achieve during our Chairmanship of ASEAN, and the role of youth in shaping the future of our organisation. But before going into greater detail, allow me first to provide you with just a brief introduction to ASEAN and its origins, since most of our youthful audience were not even born yet at the time of creation. In 1967, at a time of considerable conflict in our region, marked by differences in political ideologies, a remarkable and visionary man named Thanat Khoman, the legendary former Foreign Minister of Thailand, invited his counterparts from Indonesia, Malaysia, the Philippines, and Singapore, to Thailand for informal discussions on the situation in Southeast Asia. These five wise men later became known as the Founding Fathers of ASEAN. At Bang Saen District in Thailand’s eastern province of Chonburi, this group of five discussed and negotiated over a landmark document about a new institution aimed at promoting economic growth and development in the region as well as regional peace, security and collaboration. After days of consultations, this led to the signing of the Bangkok Declaration on 8 August 1967 in Bangkok. The Association of Southeast Asian Nations was born. From a rather small and modest beginning, ASEAN has slowly, but surely grown larger and stronger. Indeed, as a grouping, ASEAN has become the sixth largest economy in the world, with a population of 655 million people and a combined GDP of some 2.8 trillion U.S. dollars. From primarily focusing on security issues, ASEAN has expanded its cooperation to a large number of areas under the so-called three Communities of ASEAN — from political-security to economic to socio-cultural. It has strengthened its bonds from within, as well as developed closer ties with countries outside the region. From an Association of five to a Community of ten, ASEAN has set its sights on achieving a people-oriented and people-centred community. To accomplish this goal, it is incumbent that youth, such as yourselves, must play a vital role in contributing to, and collaborating in, building a stronger ASEAN Community with a deep-rooted sense of ASEAN identity. As youth are key to the growth of the region and an integrated regional community for a better ASEAN future, ASEAN fully recognises this significance and considers it essential to strengthen ASEAN collaboration as far as youth are concerned. This is reflected in the Declaration of Principles to Strengthening ASEAN Collaboration on Youth, adopted by the ASEAN Foreign Ministers in Bangkok in 1983. Since then, youth have been involved more deeply in planning programmes and policies for the future of the region and of the ASEAN Community. To name a few, we have seen a wide range of youth exchange programmes, young leaders training programmes, youth camps, the establishment of the ASEAN University Network, and activities in collaboration with the ASEAN Foundation, such as today’s event. Apart from the afore-mentioned programmes, ASEAN cooperates hand-in-hand with our dialogue partners to create a number of programmes to empower youth; for example, the K-Beauty Vocational Training for ASEAN Young Women with South Korea; the ASEAN-EU Youth Camp for Sustainable Development; the ASEAN-Russia Youth Summit; the ASEAN-India Youth Summit; and the ASEAN Young Leaders Training Programme by China. As both the present and the future of ASEAN, the voices of our youth matter deeply to ASEAN as they reflect both the achievements and the challenges of ASEAN Community building. That is why, as the ASEAN Chair this year, Thailand is committed to further supporting the role of youth in charting the future of our region and ensuring that youth will play a significant role in contributing to ASEAN Community building. 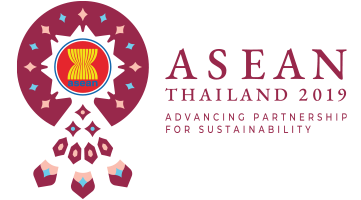 As the theme of Thailand’s ASEAN Chairmanship is “Advancing Partnership for Sustainability,” we seek to further develop an ASEAN Community that is people-centred, leaves no one behind, and looks forward to the future. While striving to achieve these ultimate goals, we are also facing a number of challenges and uncertainties, ranging from the disruptive technologies of the Fourth Industrial Revolution to the rising competition among the major powers. It also includes many daunting global challenges such as climate change, transnational crime, and transformations in the region’s social structure. Right now, you might be wondering how these 3Cs could benefit you all. Allow me to elaborate here. 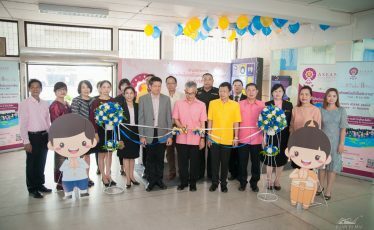 To start off, when talking about creativity, in order to prepare ASEAN for a future leading to a Digital ASEAN, Thailand seeks to improve digital literacy for all generations so that they can benefit from the digital age. Young entrepreneurs must be able to use ICT infrastructure for creative and innovative means, whether it be start ups or Fintech. At the same time, this Digital ASEAN must also safeguard us from cybersecurity threats. In this regard, we are pleased that the ASEAN-Japan Cybersecurity Capacity-Building Centre, which is one of this year’s deliverables of the ASEAN Chair, will be based here in Thailand. On complementarities to realise a Seamless ASEAN, Thailand proposes an approach which we call “connecting the connectivities”. So what are some of these connectivities, and how will enhancing them benefit you? First is physical connectivity, in which major transportation projects and power interconnection projects provide the ASEAN population with more opportunities to connect for trade, investment, cultural exchanges, tourism and much more. 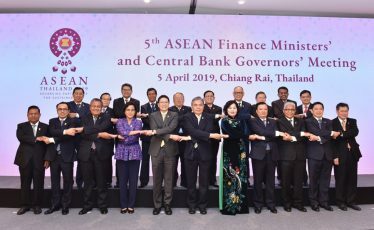 Second is institutional connectivity, in which international and regional agreements will help facilitate the cross border movement of goods, services and people for the ASEAN region. Third is people-to-people connectivity, in which we seek to promote deeper intra-ASEAN understanding through educational opportunities, tourism, and cultural exchanges. As this year is also ASEAN Cultural Year 2019, there will be a number of fascinating cultural activities in all the ASEAN countries so that you can fully appreciate the beauty and magnificence of cultural diversity in ASEAN. The last C is “continuity.” ASEAN seeks to achieve continuity and sustainability in all dimensions. 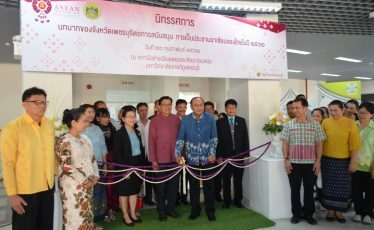 To reinforce sustainable human security, the ASEAN Training Centre for Social Work and Social Welfare and the ASEAN Centre for Active Ageing and Innovation will be established in Thailand this year. In addition, with a view to promoting a sustainable environment, ASEAN will enhance its role in addressing critical environmental issues such as climate change. Thailand will also be hosting two special meetings this year; one is on marine debris and the other is on illegal wildlife trade. 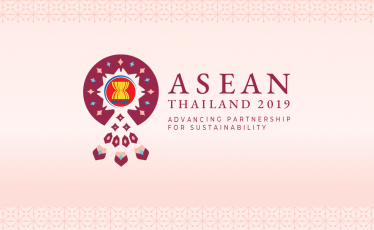 We firmly believe that our theme, together with all related activities and deliverables under our Chairmanship this year, will be beneficial to you—the youth and peoples of ASEAN–and to the sustainable future of our organisation. Looking back over the past fifty plus years, what ASEAN has achieved in the past certainly makes us proud. Today, ASEAN is recognised as one of the most successful inter-governmental organisations in the developing world, if not the most successful in its own right. We hope that what we are doing today, together with all your contributions as an agent of change in your respective communities, will benefit the current population as well as the future generation of ASEAN. All of you here are a great and dynamic driving force in promoting positive change in the ASEAN region. You are the face and the hope of a thriving ASEAN. Let us, therefore, enable and empower ASEAN together to have a long and continuous sequence of accomplishments so that succeeding generations to come could also be proud of us. Thank you very much, and I wish you a very successful and productive week ahead.